Terming ports as the engines of growth, Union Minister for Shipping and Highways Nitin Gadkari Sunday said the developments undertaken by the JNPT here will change the face of the Konkan region and make it a global tourist destination. 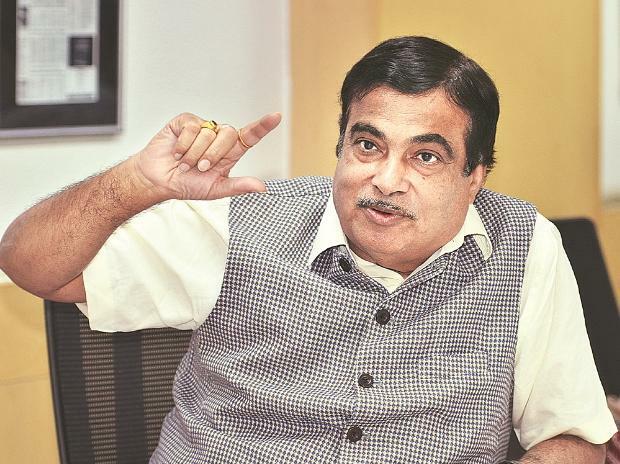 Gadkari further said development of various projects undertaken by Jawaharlal Nehru Port Trust will also generate employment for nearly 1.25 lakh people residing in the region. He was speaking at an event organised here by JNPT in which he laid the foundation stone for a free trade warehouse zone (FTWZ) at the JNPT-SEZ. The event also witnessed inauguration of the increase in draft of JNPT Mumbai navigational channel, a project worth Rs 2029 crore, and unveiling of the Shiv-Samarth Smarak, a recreational facility having statues of Maratha warrior-king Shivaji Maharaj and Saint Ramdas Swami developed to promote the art and culture. JNPT has deepened and widened the existing channel from 14 mt to 15 mt draft by which the handling capacity of the port has increased from 6000 TEUs to 12,500 TEUs. With this, JNPT can now navigate new generation container vessels, increase its handling capacity and provide economic benefits to EXIM trade through faster turnaround time time. The FTWZ is a special economic zone developed by Hindustan Infralog, a joint venture between DP World and National Infrastructure and Investment Fund (NIIF), entailing an investment of Rs 700 crore and will be developed in two years. He said under the Sagarmala project, which entails investment of Rs 16 trillion, nearly 114 projects will be developed by JNPT at an investment of around Rs 2.35 trillion. "Considering the number of projects being undertaken by JNPT, the development of Konkan will be rapid. I am sure in the next 2-3 years, this region will become a global tourist destination," he added. He further said JNPT has won the bid for Dighi port and now it will undertake all the necessary developments to revamp the port. Speaking at the event, Maharashtra Chief Minister Devendra Fadnavis said various projects undertaken by JNPT will bring more business to the state. "When businesses grow at JNPT, the state will get more money through tax. It will generate more funds for undertaking new projects and increase the GDP of state," he said. Gadkari said that state run port has bid the highest at Rs 1300 crore for the Air India building at plush Nariman Point in south Mumbai. He also said that the JNPT was ready to surrender the rights on the building if the Maharashtra government was willing to take it over and restore it. To this, Fadnavis assured Gadkari that his government will take necessary steps for the takeover of the building.